Frey’s stamp is immediately put on the album with the two opening tracks, both of which are introduced with horns. Both, however, do the job in hooking your attention. The opener, “I Found Somebody” is a more bouncier tune while its successor, “The One You Love” is more of a slow jazz sound. The Eagles influence comes with the next song, “Party Town.” “Sea Cruise” comes from way out in left field because it wasn’t something I would have expected from Glenn. The song is more of a reggae, calypso sound but fair play, he makes it work. One song that sticks out for me is “That Girl,” which Glenn co wrote with Bob Seger. It is definitely Glenn’s style of song but you can hear Bob’s influence on it as well. It had me wondering out loud if these two did any more collaborations and saying it’s a shame if they hadn’t. Furthermore, I do like the lead guitar intro in “All Those Lies,” a classic Eagles type jam, kind of reminiscent of “One of These Nights.” The closer, “Don’t Give Up,” is the hardest rocker on the album. Some impressive guitar and a couple of solos make sure this album goes out on a high. 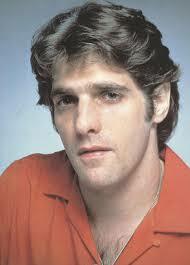 It’s hard to say for sure if there was any sort of rivalry between Glenn Frey and Don Henley or if Glenn had the dilemma that some artists have when they are/were in a group and record a solo album. 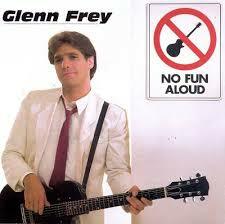 All I know is that “No Fun Aloud” is a suitable solo debut album from Glenn Frey. This entry was posted on May 10, 2015 at 7:22 pm and is filed under 1980s, Music, Rock, Uncategorized with tags Classic Rock, Don Henley, Glenn Frey, hard rock, John Lennon, Mellow out rock, melodic rock, No Fun Aloud, Paul McCartney, The 1980s, The Beatles, The Eagles. You can follow any responses to this entry through the RSS 2.0 feed. You can leave a response, or trackback from your own site. Thanks. I hope I can do it justice although I have to admit, “Kilroy Was Here” is not one of my favourite Styx albums. True but my two favourite Styx albums, “The Grand Illusion” and “Pieces of Eight” were visited on here many many moons ago. They’re still on here if you would like to read about them.